Martyn Hilbert's Railway Photography - Last additions - 08954 at Plymouth. With the roof tops of Plymouth as a backdrop, 08954 was shunting parcel and mail vans at Plymouth station on July 26th 1980. This was a time-honoured scene at all major stations - now sadly consigned to history. 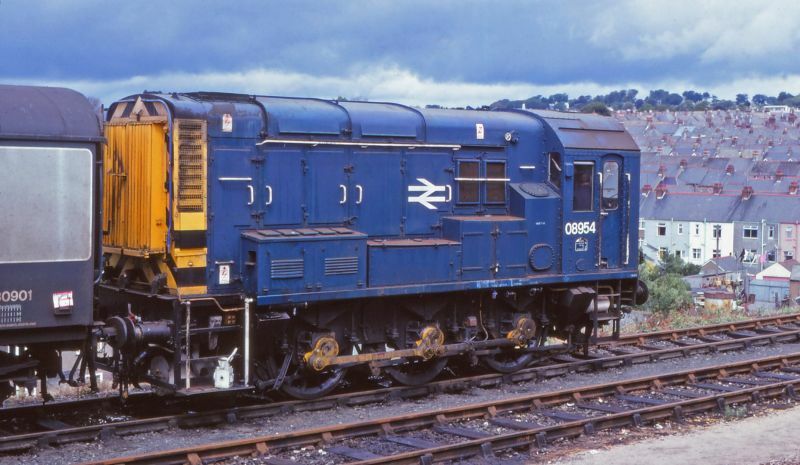 The 08 was new from Darington Works in October 1962 numbered D4184, its first home was at Ebbw Junction (86A) and it was tranferred to Laira (84A) in May 1971.